The establishment of a Thessaloniki based Production Service Company in Greece by the Nu Image corporate group (including Millennium Films, Nu Boyana Film Studios and Worldwide FX) announced on Sunday, September 9, at Thessaloniki International Fair, President and Chief Executive Officer of EKOME SA, Panos Kouanis and Producer and CEO of Nu Boyana Film Studios, Yariv Lerner. Following a series of contacts and bilateral discussions over the past months, Panos Kouanis and Yariv Lerner announced their cooperation yesterday at Pavilion 12 where they presented the main goals of the partnership. The immediate objective of the above company is to offer production service to the Nu Image films, which will be supported by EKOME and the provisions of the investment incentive Law (Greek Cash Rebate). Besides the creation of the Production Service Company, EKOΜΕ and Nu Boyana also announced the launch of a new Internship Programme which will give participants the opportunity to train in film production and post-production at Nu Boyana Film Studios. The programme will be co-funded by EKOME SA and Nu Boyana Film Studios. For his part, Yari Lerner commented that this is a great opportunity for the Nu Image group given the excellent timing of the implementation of the Greek cash rebate, because in addition to the financial incentive that is very important to producers, Greece has a variety of locations and can cater to the needs of any script. “There is now a good ground for investment in audiovisual production thanks to new initiatives such as EKOME”, he added. 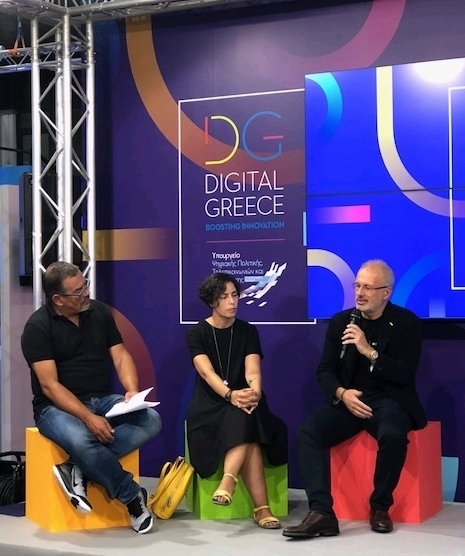 He also stressed that for Nu Image the choice of Thessaloniki is of strategic importance due to its proximity to Sofia, Bulgaria, where the Nu Boyana Film Studios are based and to its being a town “with a cinema tradition”. The above announcements were made during the discussion on the challenges and prospects for film production in Greece, which took place at Pavilion 12 and were attended by Panos Kouanis, EKOME President and CEO Yariv Lerner, Producer and CEO of Nu Boyana Film Studios and Yianna Sarri Head of Film Market at the Thessaloniki Film Festival. All information on the Internship Program and the application submission procedure will be announced soon.